In a 2011 interview with Jon Stewart on “The Daily Show,” award winning American journalist Bill Moyers paraphrased George Orwell: “Journalism is about what people want to keep hidden, everything else is publicity.” Case in point: famed Israeli television journalist Yaron London’s recent article in Haaretz, “Maybe the kids didn’t disappear?” [Hebrew]. London’s tone and perspective perfectly illustrate Moyers’ assertion; it is a textbook example of how the Zionist hegemonic machine constructs a public discourse to maintain the status quo. At the same time, opposing claims, however legitimate, are silenced. London has considerable influence on the public discourse. But like his colleagues in the Israeli press, instead of using his power to expose the hidden, to ask worthy investigative questions, he chose to defend the state. London admits to having limited knowledge about one of the most tragic affairs in Israel’s history. But his lack of knowledge, and apparent inability to comprehend the magnitude of the tragedy, doesn’t prevent him from forming a conclusion. To no one’s surprise, it aligns perfectly with the state’s efforts to obfuscate and conceal the issue by saying: most of them died; this is really just a one big misunderstanding. This, despite hundreds of testimonies of parents to the contrary, including mothers testifying that their babies were physically kidnapped from their hands, such as Naomi Gavra and Miriyam Ovadia. And despite clear cases such as Miriam Shuker [Hebrew], who was kidnapped and given for adoption, all while her father, David, was looking for her all over the country. This is the same conclusion all state-appointed commissions reached. And not investigative bodies, by the way – the first two commissions were only inquiry commissions with no subpoena power and no intention to investigate; all commissions, including the last, were exceptional only in how slowly they worked and how little new information they could discover [i]. At the same time, the press showed a remarkable lack of interest in the state’s obvious conflict with a clamor of Yemenite and other Mizrahi voices. With the exception of Haolam Haze in 1967, and a few articles in Haaretz and Ha’ir in the mid 1990s, inquiry into public outcry was nearly non-existent. From the 1960s until the last commission’s findings were published in November 2001, state press releases and media reporting show incredible consistency with each other. When I examined the media narrative for my book, based on my Ph.D. dissertation, Israeli Media and the Framing of Internal Conflict: the Yemenite Babies Affair (Palgrave Macmillan, 2009), I found a discourse that was overwhelmingly supportive of state efforts to quash discussion of the affair. Starting with the first articles in the 1960s, writers were eager to dismiss claims of kidnapping. “Don’t you think that if these accusations were true the police would have opened some files to investigate these matters” (Maariv, October 9, 1966). In other words, if there was no investigation, there was no crime in the first place. Others dismissed all calls for an investigation, saying, “all people working in the camps, with no exception, were honest people” (Maariv April, 1, 1966), or, “no child was ever released from the hospital without identification” (Tel-Aviv, December 20, 1985). Reinforcement of negative racial stereotypes was the other major theme when the media bothered to mention the affair. 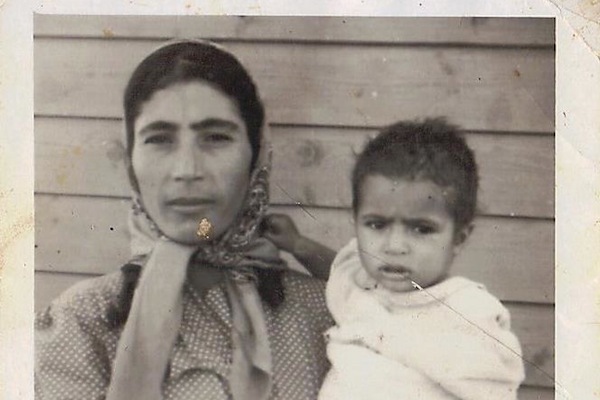 New Yemenite immigrants were shown as primitive, at best incapable of caring for themselves properly, and at worst, not even caring if a child lived or died. One article in Davar (February 24, 1966) describes the Yemenite immigrants as “peeking through the window and seeing for the first time how to bathe a baby and how to change a baby’s diaper.” Another quoted a nurse as saying Yemenite parents had a cavalier attitude towards the death of a child. “If a child died in the tent they would say, ‘God gives and God takes’” (Davar, February 26, 1966). From this perception, the road to thinking they were unfit parents was very short. The biggest issue here is not that the commission supposedly disproved an institutional conspiracy. Sanjero’s main contribution is the complete discrediting of this commission’s work. As he writes, “the commission was lacking the most central tool for any investigation: an epistemology of suspicion.” (Page 48, Hebrew) [PDF] If any journalist bothered to read the last commission’s report, it would have been crystal clear that referring to any conclusion made by this commission using the term “determined with great certainty” is, how should I put it… embarrassing. The Kedmi commission’s report, just like the previous commissions, is full of contradictions and factual errors; too many to detail in this short space. Important lines of inquiry were dropped, including an important investigation in the U.S., crucial testimony was given behind closed doors and remains classified for the next 70 years. Source files, hospital archives and burial records were mysteriously lost and even burned. [ii] Birth files requested by the commission from Hillel Yaffe Hospital, for instance, were “accidently burned,” not in the 1950s, but in the late 1990s and during the so called investigative work. Rather than flagging the event, or investigating who corrupted these records, the commission merely dismissed it as an “administrative failure.” I ask, as Sanjero did, how, during a working investigation, could such an overt flouting of procedure remain uninvestigated? I think that even the Hasamba boy would have known what to do here. It’s important to understand in this context that Rabbi Meshulam’s vilification and ridicule by the media, and his ultimate demise was deliberate and complete, in an effort to delegitimize his protest. In the public eye, the issue at hand was his “insanity,” not the moral obligation of the media and public to demand answers to the question – why and how hundreds if not thousands of babies were forcefully removed from their parents to never be seen again? Ignorance fuels racism. Not knowing isn’t the weapon for conspiracy theorists, as London wishes us to believe, less than it is a weapon for those who were actively squelching and preventing a legitimate demand for proper investigation. Kidnapping, or the forcible transfer of babies/children from one group to another, is not only a violent act, it is defined by the UN as genocide. This fact alone should have gotten not only the media going, but also the whole country out in protest. But instead of being motivated by a healthy dose of suspicion, the media eagerly helped by recycling the lame “immigration mess” excuse. Which, by the way, paradoxically didn’t prevent the Kedmi Commission from producing the definitive conclusion that all documentation from that time is accurate. So which is it? Messy or accurate? What any citizen of Israel, including reporters, should ask him or herself is why as a society we sympathize with one pain, and not another? Why in the case of Yosale Schumer, the Haredi boy who was kidnapped by his grandparent in 1962, the entire state, government and the Mossad got involved until he was brought back to his parents. No effort was too big to get one boy, while hundreds of Yemenite parents were not worthy of a fraction of this sympathy or willingness to fight? So “what’s between Shmita to Mount Sinai?”, you ask – compassion and humanity. A true fight against injustice should put on its agenda all systems of oppression, for they are interconnected. As Martin Luther King said in 1963: “injustice anywhere is a threat to justice everywhere.” When the Israeli Left will fight against intra-Jewish injustices and racism with the same enthusiasm and passion often used to protest the occupation, we might have a chance at a better future here. Shoshana Madmoni-Gerber is an associate professor of communications and journalism at Suffolk University in Boston. The constant usage of the inaccurate phrase “three investigative commissions have investigated this affair…” only made the Yemenite look like nudniks who are standing in the way of closing this story, instead of criticizing the lack of investigation. For detailed examples read Shoshi Zaid’s book And The Child id Gone, Geffen (2001) and Rfai Shubeli’s many articles in the journal Afikim, as well as my book. 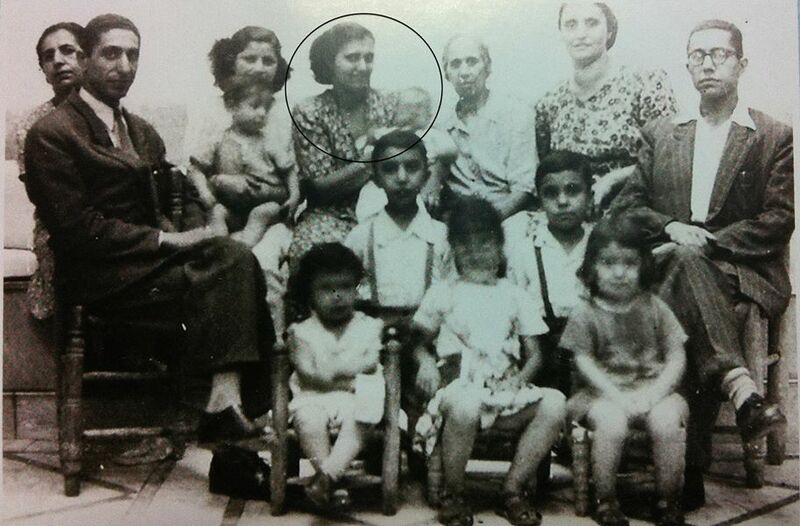 “Revealing the past – Breaking with the Silence: The Yemenite Babies Affair and the Israeli Media” [PDF]. In Holy Land Studies 10.2 (2011): 229-248.